Adults and children need six types of nutrients for survival and healthy development. Food produces energy that children need. We can choose a healthiest diet, present it nicely but the child refuses to eat, the action of your child ended the game. The animals feed their babies very easily, why do people feel that feeding their children is extremely difficult although they have support of all dietitians? We should not be too stiff, let's stick to the realistic goals and never turn meal into a battle. We should be an example for our children. 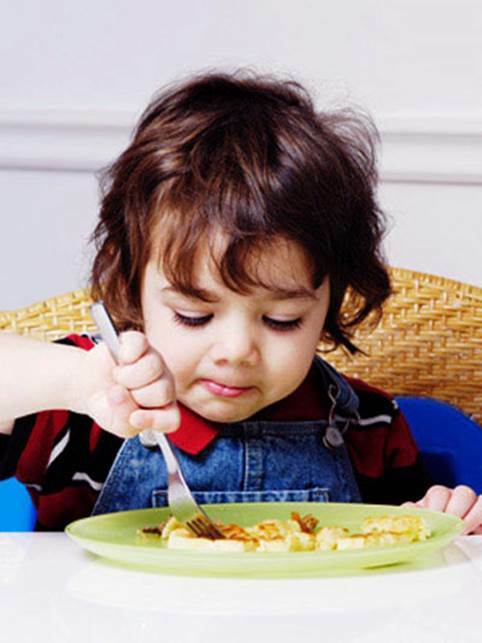 The best time for a child to start eating is after he/she is one year old. At that time, we can fully control the child's diet. In any case, we select foods for children. Adults and children need six types of nutrients for survival and healthy development, including protein, carbohydrates, fat, vitamins, mineral and water. Protein is found in meat, eggs, cheese; lower-quality vegetable protein can be found in peas and nuts. In developed countries, people eat more protein than necessary. Carbohydrates has simple form called glucose and sucrose or starch in cereals, breads, cakes, vegetables, fruits ... Simple sugar groups are easy to eat and absorb; therefore, people eat them more. Not just available in white sugar, they are also in honey, ripe fruit or other natural food. Fat is found in meat, oil, butter, cheese, beans ... There are two types of fat: saturated type in meat and non-saturated type in fruits and vegetables. Fat is an important energy source, providing doubled energy than the equivalent number of sugar, creating doubled weight if we are not careful. Both adult and old people need to reduce the amount of fat in the diet, with children, the energy consumption is very fast because they need energy for activities and growth, so do not be afraid to let your children eat fat in limit. Vitamins are essential in small quantities to help us having resistance. Once you have necessary energy, double or triple the provided energy could not make us healthier. There are many different kinds of vitamin such as vitamin C in fruits and fruit juices, vitamin D in eggs, butter, and generated by the sunlight on the skin. We also need a small amount of minerals. Iron and calcium are the two elements that we often think of. Iron is found in meat, cereals, bread and some kinds of vegetable. 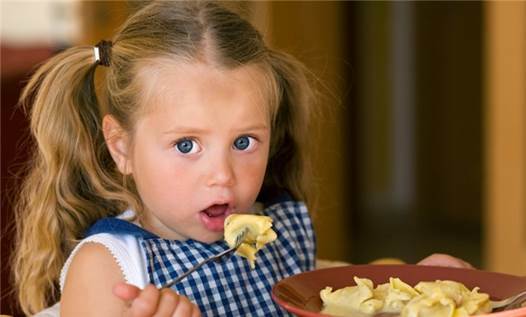 If toddlers do not eat these foods, they will be lack of iron. Calcium is found in dairy foods, if your child does not eat these foods, he/she will be a lack of calcium. Water always has an important role, it is necessary for the development of children. Vegetables are necessary for the development of children. I often hear parents say: "My child hardly eats a bite". I looked up and saw a fat kid in front of me. It cannot just breathe air and becomes fat like that. Surely, the child absorbed a large amount of energy. Most kids eat enough food and they are healthy, but we do realize that and we always think they eat too little. If you still doubt about it, you should record everything your child eats junk food, milk, fruit, and the main meals that they cannot eat all (although at least they eat a half). Let's sum all these things, and you may be surprised at the amount of food that your children consume every day. If your children develop well and be healthy, there is nothing wrong with their diet. Toddlers are considered healthy when they excess energy and enthusiasm with life. A healthy child in toddler age often has bright and playful eyes, its eyes seems to say: "Now I will come and play in mother's bedroom". Vegetables are very precious source of fiber, mixed carbohydrates and vitamins. 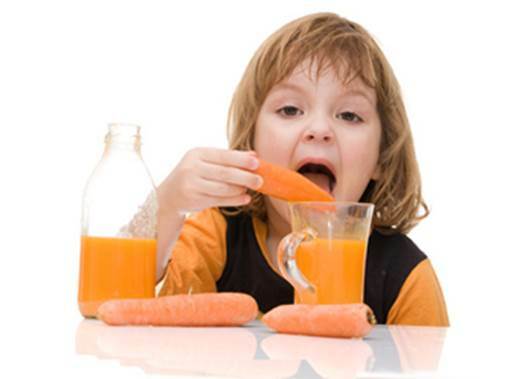 Many people believe that children should eat more vegetables with green or orange, red colors. However, it's still good if your children can eat a few kinds of vegetables. We should simplify the story of vegetables that children have to eat. Or let your children try to eat vegetables, beans with more flavor and taste when they have just learnt to eat. It's good if they like it, we should not force them if you do not like. If your children refuse to eat vegetables, let them eat fruits. If they still refuse, they can still live by bread, cereal and juice. Many people told me: "My child refuses to eat meat. It just eats chicken, bread and sausage". Remember, not a piece of meat is meat. There are many kinds of meat and many different ways that children can eat. Children need to eat meat because meat contains more iron and protein. If your children do not eat any meat at all, and do not like cheese, milk, yogurt, it would be dangerous. Eggs are also high protein food. Beans and nuts also can enhance the health of children. Do you see a vegetarian but still strong and healthy? Dairy products are the most important sources of calcium for the development of children. 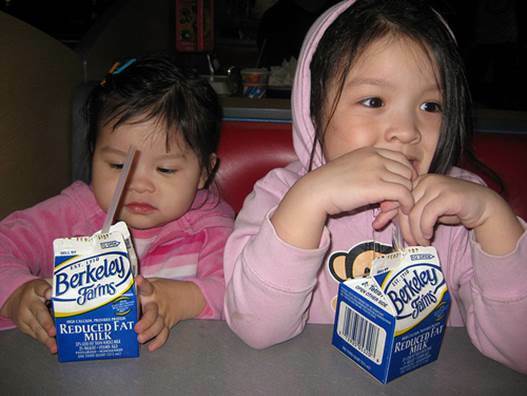 Many children do not like to drink milk, but thanks to God, they rarely refuse dairy foods. If your children refuse to drink milk but eat cheese, it is also very good. Many children do not like to drink milk, but thanks to God, they rarely refuse dairy foods. It will be impractical when your child has a healthier lifestyle than the adults around. If parents smoke cigarettes continuously, increase the weight and do not do exercise, and do not have the discipline, their children will be the same. Having diet and healthy lifestyle is the thing of the family and parents. They must begin first, and then their children will follow them. The best way to help children walk in a straight line and the right direction is to introduce as many foods as possible in order to expand the scope of their taste and preferences. You should know that some children do not like to change the taste. Another important objective is avoiding letting your children taste too salty or too sweet food. Do not let them eat chocolate or chips too often because they will love to eat these foods all the time.